How does a loan on your gold work? There are very few things you can think of that are easier then getting a Gold Loan in Casa Grande. You bring us your gold and our trained professionals will test it for purity, weight it, and within moments will be back to give you a price in Casa Grande. All gold loans are for 90-days where you would pay back the principal plus interest within that time frame. You could also payback just the interest which would renew your loan for another 90-days. If you can’t pay back the gold loan in full at its maturity, you may surrender the gold as full payment with no further obligation on your part. How much cash can I get for a gold loan? Obviously the amount varies greatly depending on the amount and type of gold you have. Typically, most gold loans will be on gold jewelry or gold coins. The process described below is mainly used for gold jewelry but can sometimes be necessary on older gold coins. When valuating gold the most important aspect is the purity which is measured in karats. This is typically indicated on jewelry in a hard to see place such as on the clasp of earrings or necklaces, or on the inside of a ring. This can range anywhere from 10kt to 18kt on jewelry with an actual range of 58.3% to 75%. This heavily impacts the amount of your gold loan. Once we've found this, we perform an acid test to verify its purity. We collect a few gold flakes from the piece of jewelry and test its reaction to different kinds of acid. If it shows no reaction whatsoever, then it matches the purity of the stamp. Our prices per karat are adjusted daily to reflect what the global selling price of gold is so you can rest assured that you're getting the fairest price no matter what. Lastly, we get a weight of the gold in grams. This number is multiplied by whatever our current price for that gram is and we make you a cash offer. Should you accept (which you always should as we have the highest gold prices in all of Casa Grande) we'll collect a few signatures from you and put cold, hard cash in your hand. Throughout the duration of the loan, your gold will sit in our secured and insured safe untouched until you're ready to come and pick it up. If you're looking for a free quote, come visit the best pawn shop in Casa Grande, Eloy, and Arizona City today! Why not? If you need cash but perhaps your credit isn't good or you have no credit, then taking out a pawn loan or collateral loan based on the value of your gold could provide you with the money you need when you need it most. Although the value of gold fluctuates (as does just about everything else), gold prices generally remain high and continue to rise which means more money for you. It really is as simple as that. If you need cash, but don't want to sell it and have it be gone forever, it's a good idea to use our loan services. Stop by in Casa Grande so we can evaluate your gold. We would then write up a 90-day loan and you would receive cash. This way, you can get the money you need, but still be able to keep your gold with our gold loans! Dont forget we also serve, Coolidge, Maricopa, Eloy, Arizona City, and the Florence Area. What type of gold will you loan on? Casino Pawn and Gold will loan on any and all types of gold. We will give loans on everything including gold chains, gold rings, gold watches (working or not), broken or damaged gold jewelry, estate jewelry, dental gold, gold brooches, gold pendants, gold cufflinks, and gold earrings. 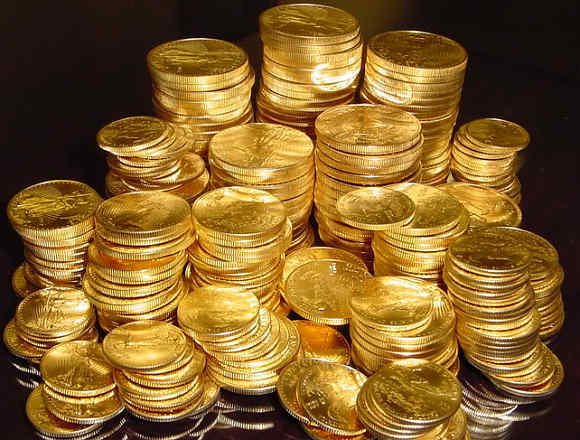 No matter what condition the gold is in, we will loan on it in Casa Grande in our pawn shop with our certified gold loans! Casino Pawn And Gold and its affiliated companies have been in business for over 20 years buying and lending on all types of gold in Casa Grande, and the surrounding areas of Coolidge, Maricopa, Eloy, Arizona City, and the Florence Area. We have the knowledge, experience, and cash to make you want to come back and see us, therefore, you can be sure you are getting the most money for your gold. We will make sure to store your gold properly in our high-security safe so that you trust us in the future with our certified gold loans from our pawn shop in Casa Grande.